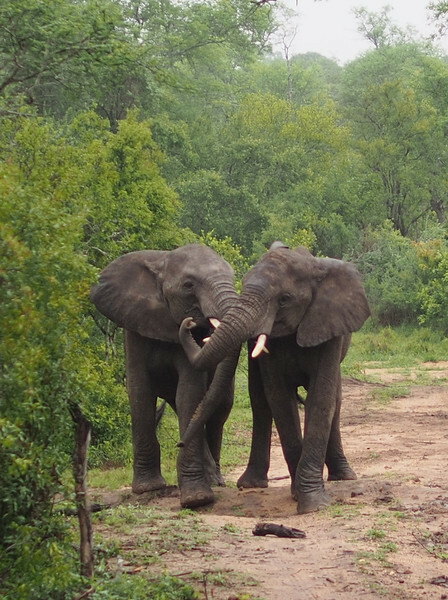 Two young male elephants are play-fighting. They carried on for quite some time, pushing, bumping, and shoving each other. According to the ranger, they are practicing for the day when the fighting will be real and the stakes will be high: dominance over the herd and breeding rights.